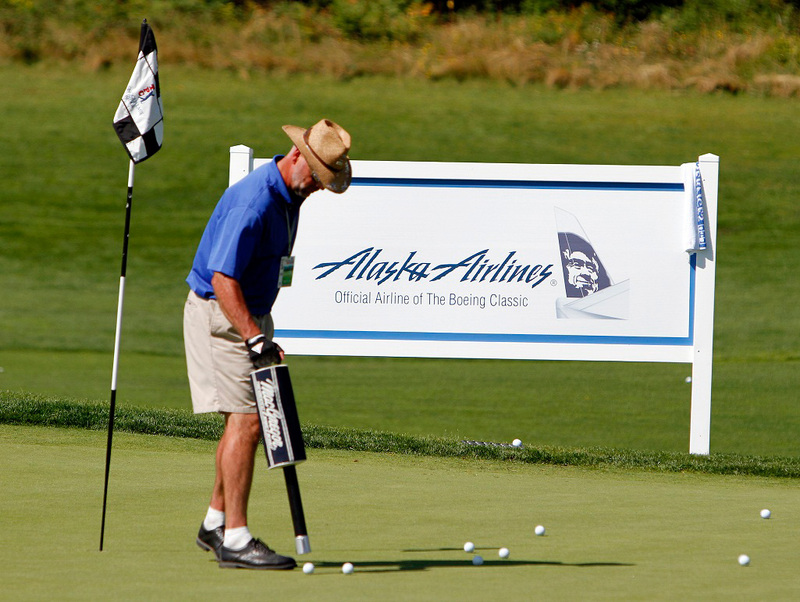 The Boeing Classic proudly stands as the region's premier golf event, but this event is definitely much more than a golf tournament. The events and activities associated with the Boeing Classic provide an all-inclusive, entertaining atmosphere and the breathtaking views of the Snoqualmie Valley serve as a backdrop for world-class golf and provide the perfect venue to mingle with friends and business leaders throughout the Northwest. Learn how you and your company can take part in the 2019 Boeing Classic. For more information, please contact Sarah Coyan. The Korean Air Pro-Am is a unique opportunity for amateur players to learn from the best by playing alongside a PGA TOUR Champions Professional during the two-day event at The Club at Snoqualmie Ridge. 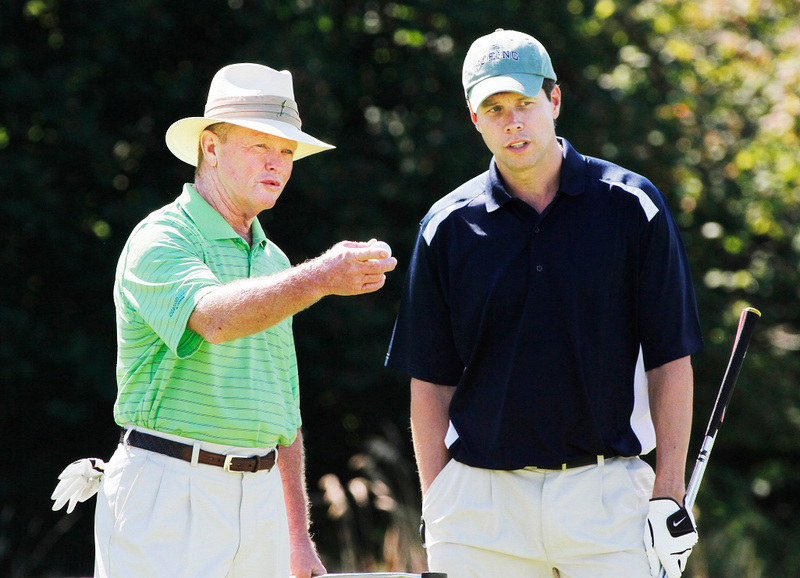 Groups will play with a different Professional each day, providing the opportunity to ask questions along the way, receive customized tips and walk away at the end of the day with a golf experience like no other. A Korean Air Draw Party, will take place on Tuesday evening, August 20th, at CenturyLink Field to reveal the pairings. For the Pro-Am days all participants will receive valet parking, food and beverage, and a tee prize package valued at $750. The ANA Dreamliner Lounge at the Boeing Classic provides the perfect opportunity to mingle with friends and business leaders throughout the Northwest. 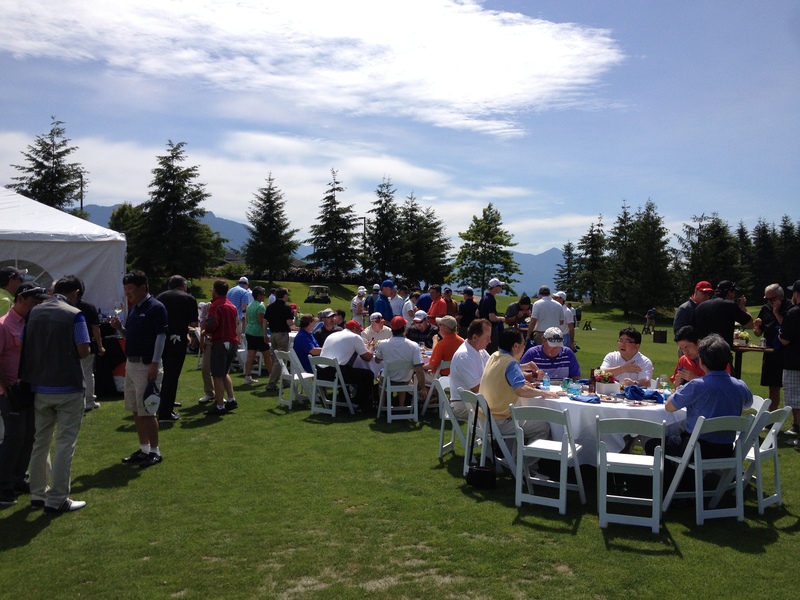 This all-inclusive, shared hospitality location overlooks the 18th green at The Club at Snoqualmie Ridge and creates a fun, festive and comfortable environment whether you have a small or large group. 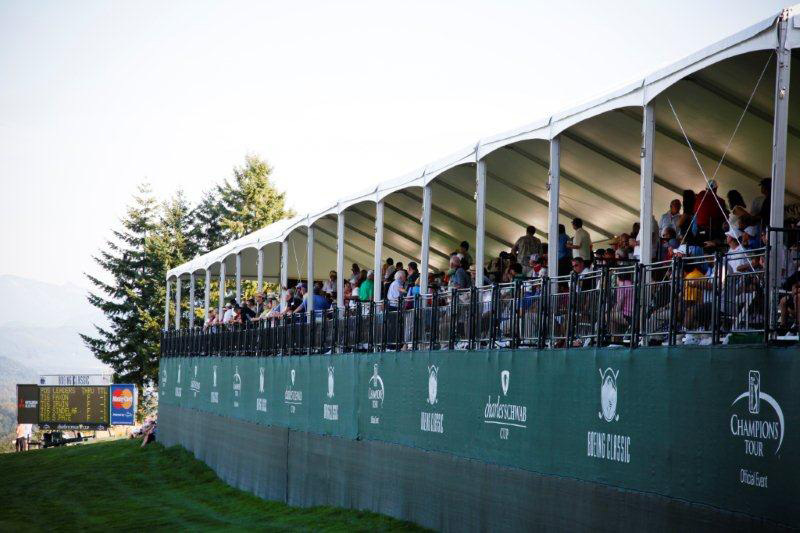 With this first-class experience you'll enjoy food provided by the Northwest's premier steakhouse, El Gaucho, indoor and outdoor seating options, and a front row seat to watch the 2019 Champion on the 18th Green. 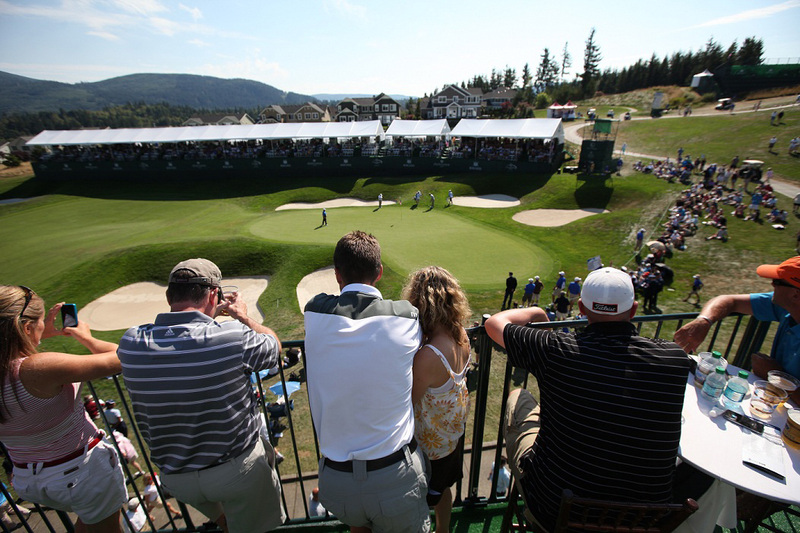 The 18th Green Skybox Suites at the Boeing Classic provide a birds-eye view of great golf action, breathtaking views of the Snoqualmie Valley and an outstanding venue to entertain clients, associates, friends and family. Your guests will enjoy the impressive environment and first-class food and beverage options while your company will appreciate the benefits provided to members of this exclusive venue. Use your Skybox Suite to strengthen existing relationships as well as create new business opportunities. Your suite may be customized to accommodate needs related to the size of the space, catering, furniture rentals and more. 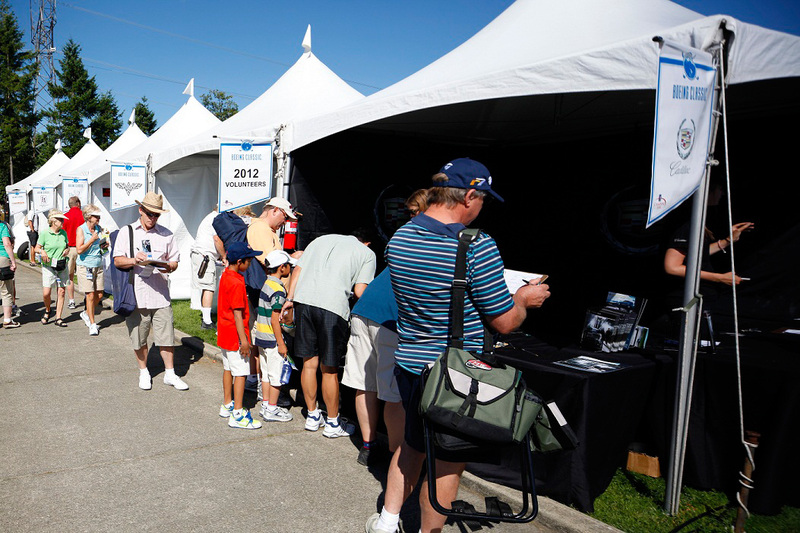 The Boeing Classic Fan Zone is located at the main entrance gate of The Club at Snoqualmie Ridge. Every spectator, sponsor, VIP and volunteer must walk through the Fan Zone in order to enter the grounds. 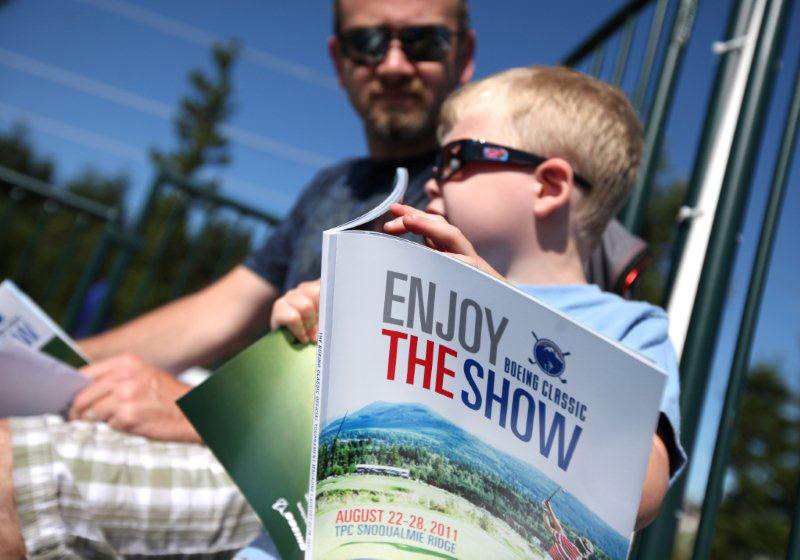 This exhibit space is an ideal location to showcase company services and distribute marketing materials to the approximately 85,000 spectators expected to attend Boeing Classic. The Fan Zone is open during tournament week from 9:00am to 6:00pm Friday, August 23 - Sunday, August 25. Each exhibit space includes power, wireless internet, an 8' table, and two chairs. 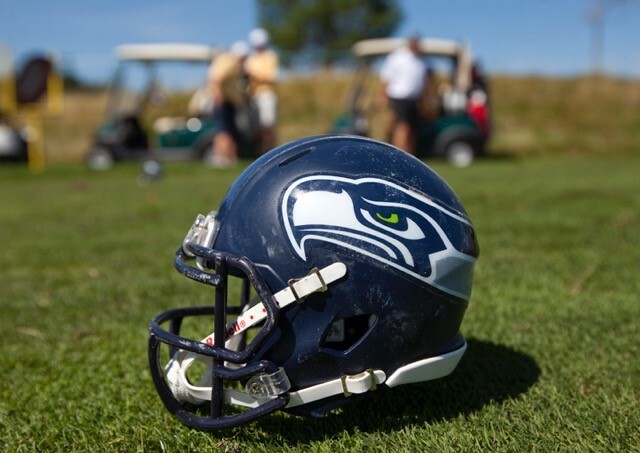 As the kickoff event for the Boeing Classic, the Seahawks Rumble at the Ridge brings together friends from the sports and entertainment industries to “tee it up” for charity. Threesomes are matched with a celebrity to take on the championship-caliber course at The Club atSnoqualmie Ridge. Participants will learn about their celebrity pairing at the exclusive VIP Reception on Sunday, August 18th, held on the waterfront home of the Seahawks at the VMAC Training Facility. All proceeds from Rumble at the Ridge benefit the Benaroya Research Institute at Virginia Mason and Pete Carroll’s, A Better Seattle Foundation. Celebrity participants who have supported this unique event include Hall of Fame Members Steve Largent and Cortez Kennedy and Ring of Honor Members Jim Zorn, Jacob Green, Dave Krieg, and Kenny Easley. For more information on these or other opportunities, please contact Sarah Coyan.